One night when Carys Cragg was 11 years old, a man sneaked into her family home and shattered everything young Carys knew. Her father – a compassionate man and respected doctor, full of life – confronted the intruder, who in the ensuing struggle stabbed Geoffrey Cragg three times, resulting in his death. After two decades of wrestling with the silence around that night, Carys needed answers: She would write a letter to Sheldon, her father's murderer, before he got parole. What follows is a story about restorative justice – its potential and its limits. There's a limit to Sheldon's honesty and a limit to Cragg's empathy for the man who stole so much from her, but for two years they address the brutal circumstances in which their lives crashed into one another. 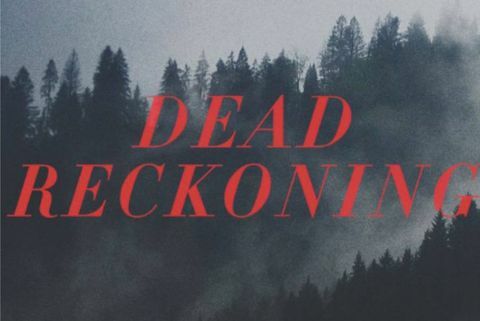 This is Cragg's search for truth and Dead Reckoning stays close to her personal experience along that journey. Still, it asks important questions: about what justice means, how we can repair harm and what society asks of the victims, as well as the perpetrators, of the most heinous crimes.